Please complete the form below and your enquiry will be sent directly to Pam Golding Properties Stanford via email. 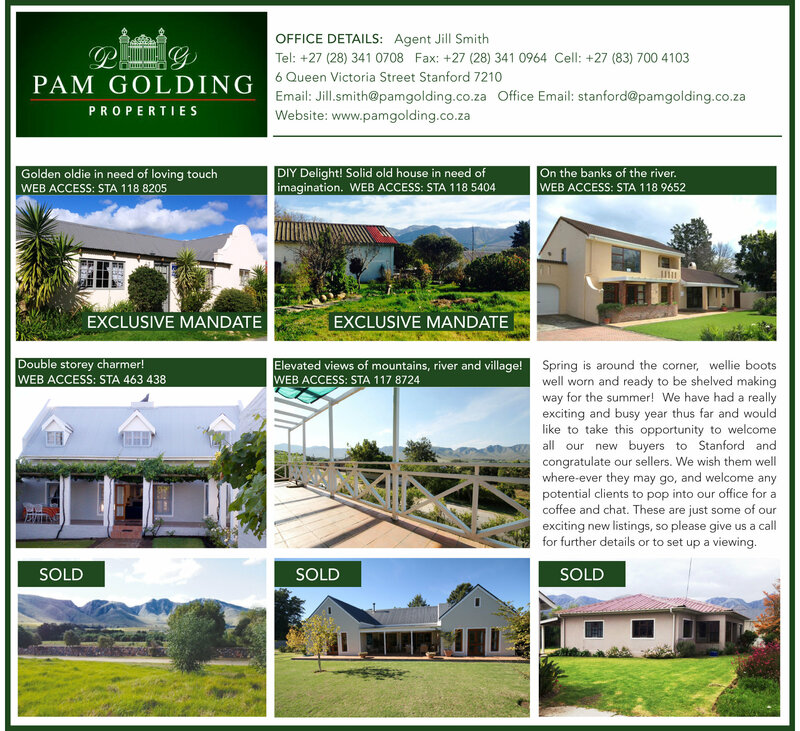 Your enquiry has been sent to Pam Golding Properties Stanford. There's something uniquely beautiful about calling Stanford home. This is where life slows down., its a conscious choice and whether you are here to stay or here to visit let us help you discover the magic of our beautiful village. LATEST SALES IN STANFORD AND SURROUNDING AREAS.